I found a new hobby over the summer of 2018: hardware! I spent a few weekends remembering things like Ohm’s Law while working my way through Arduino’s Starter Kit. I had played around with Raspberry Pis and other microcontrollers in college, but this was the first time I really dug in to understand how everything worked. Here are a few of my favorite projects from the Kit! 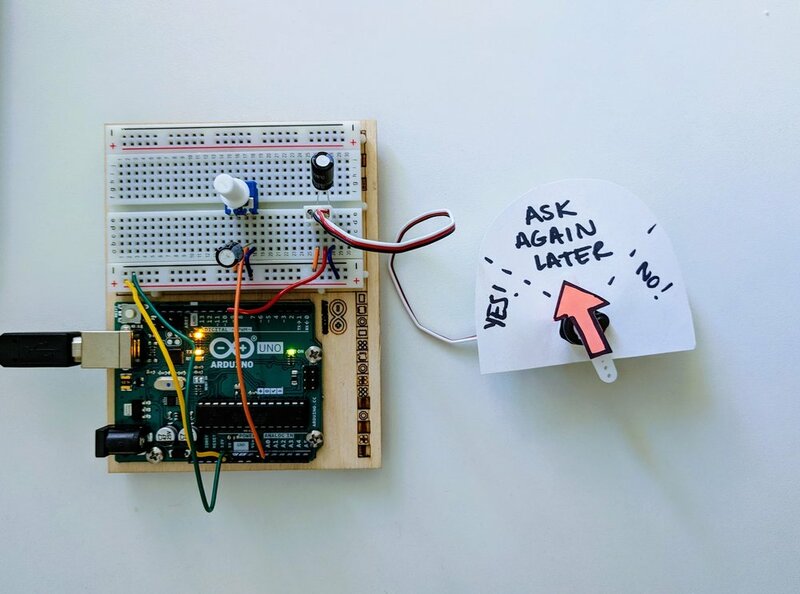 The idea of this project is to use a servo motor to tell people your mood. It was exhilarating to move something in the physical world with code I’d written! This project uses a row of LEDs and a tilt switch to create a fully-functional Arduino hourglass. I love the tilt switch! I want to use it in a million more things! I also have been coding using the Pomodoro Technique lately, so this project actually came in handy. This project makes anyone a musician! It guides you through setting up a quick keyboard with five notes. Luckily for me, that was just enough to play a very squeaky Seven Nation Army. This project was the first time I had to use an external power source (in this case a 9V battery) to power my creation! Overall, this wasn’t too hard… once I realized I spent an hour trying to get it to work with the MOSFET transistor in backwards. 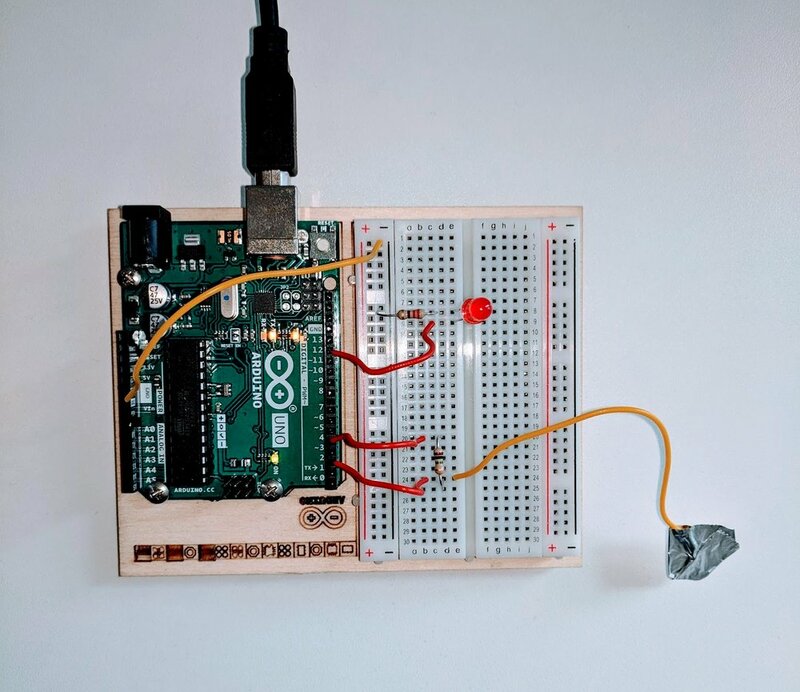 This project uses aluminum foil and Arduino’s CapacitiveSensor library to create a lamp that uses your body heat to light up. I loved this project because it opened my mind up to the huge number of sensor possibilities!